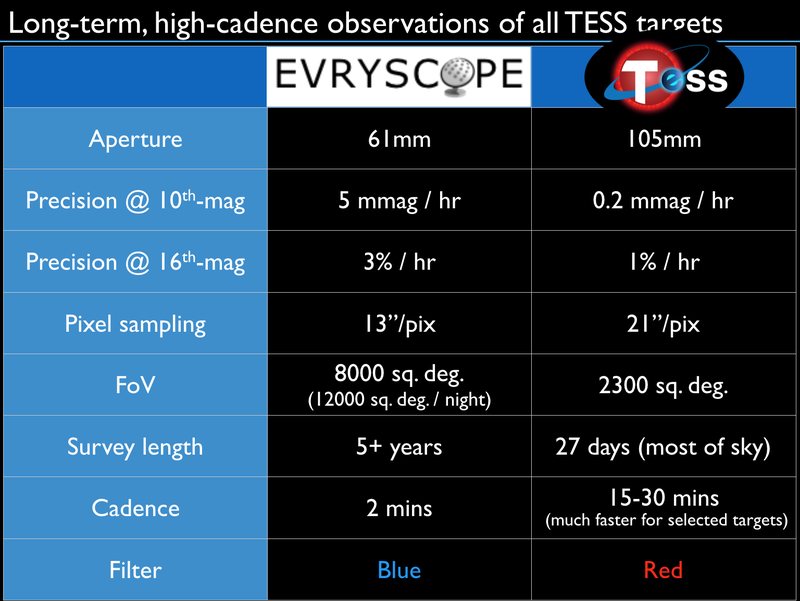 Evryscope will provide context for TESS’s high-photometric-precision observations. We are performing five-year-long monitoring of all TESS targets, in a different color and with a smaller pixel scale and much faster cadence than full-frame TESS targets. The Evryscope will monitor the TESS observing fields during nighttime in Chile and California, providing multi-color simultaneous monitoring.